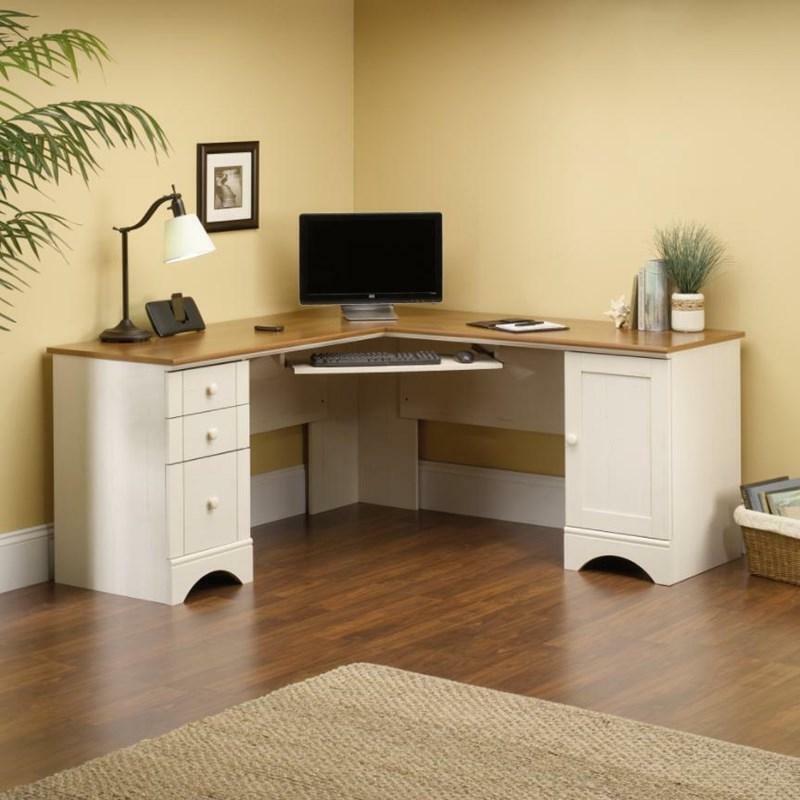 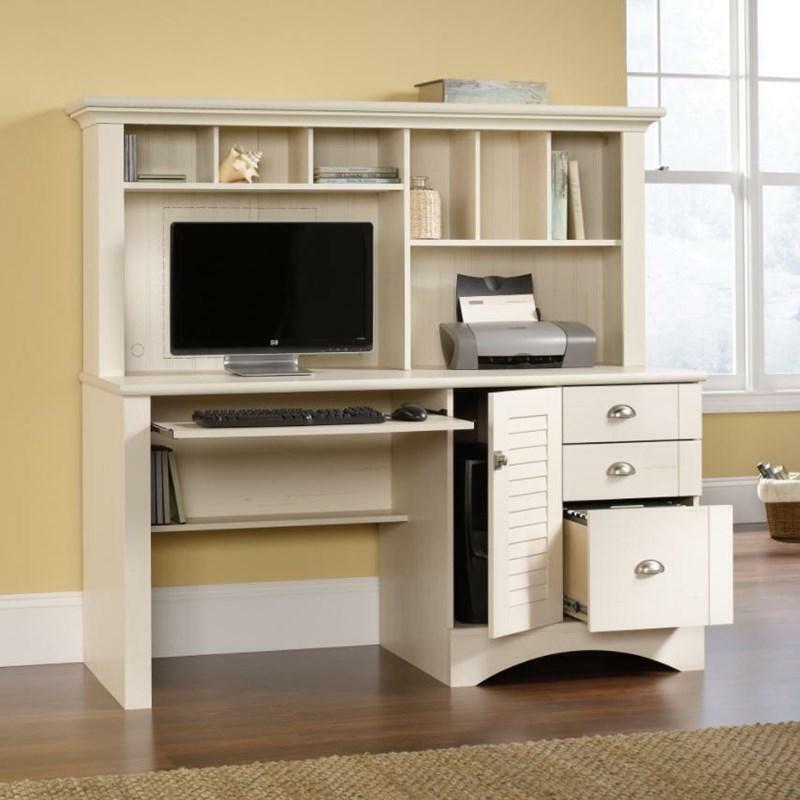 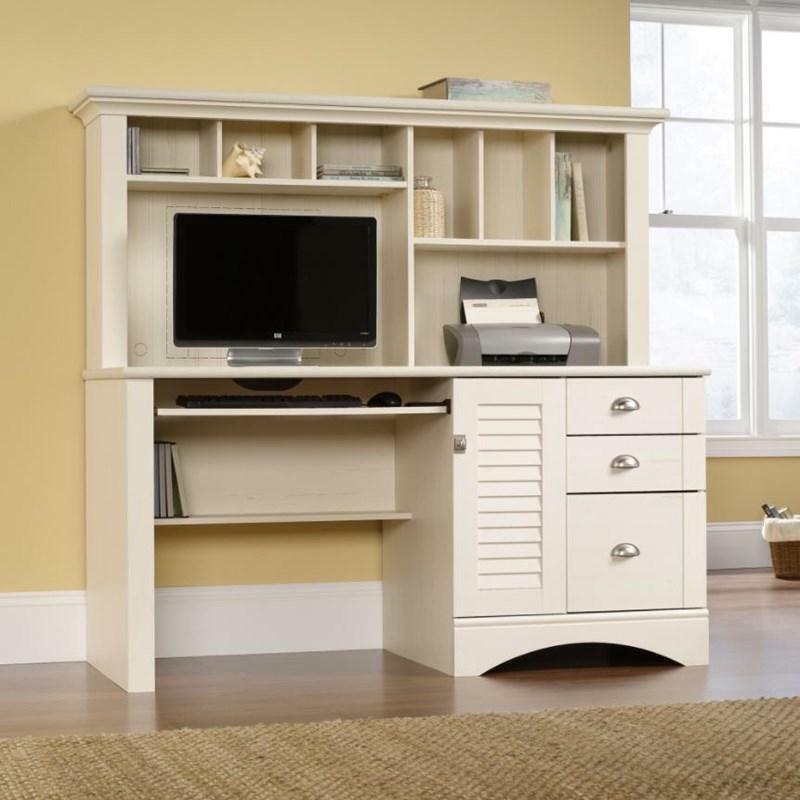 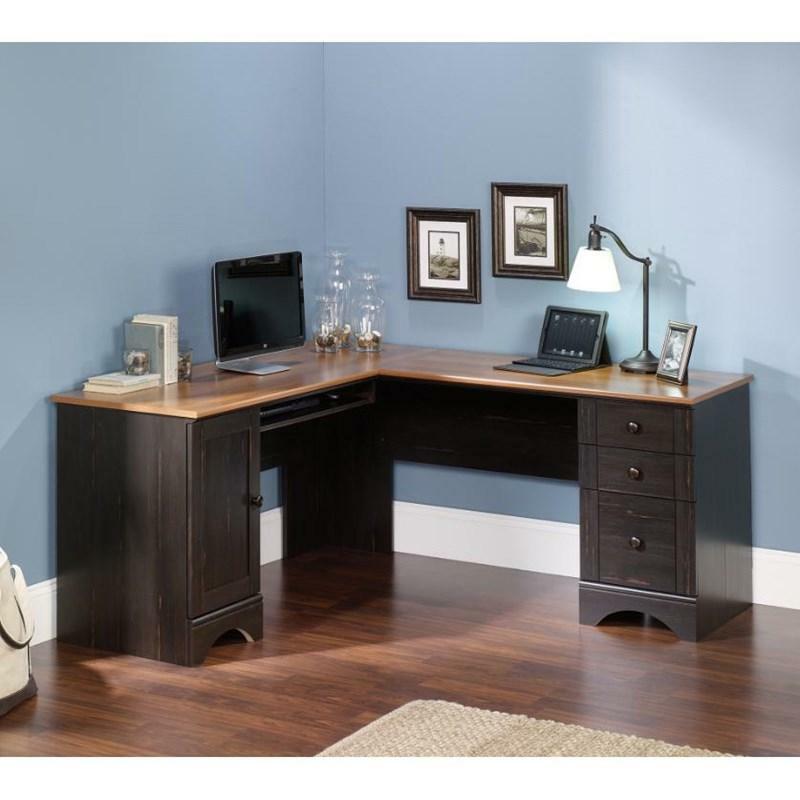 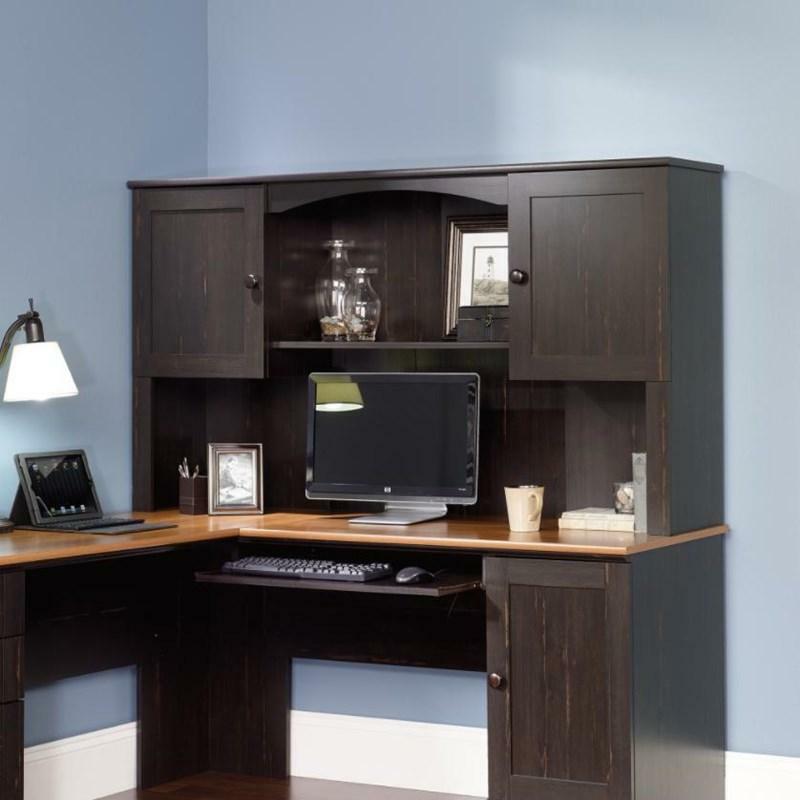 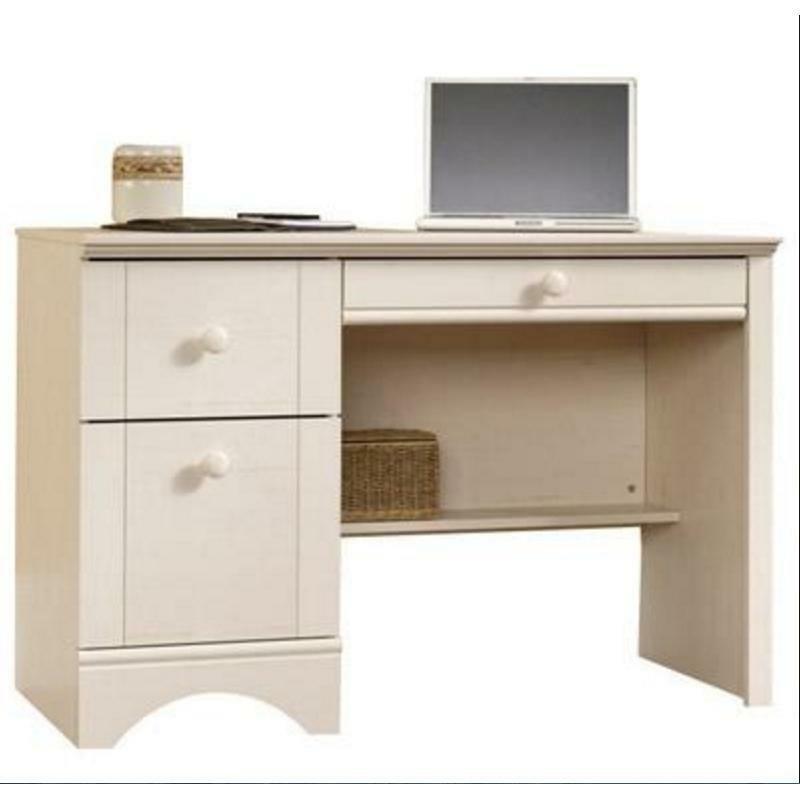 Organize your home office with help from this beautiful computer desk with hutch from Sauder. 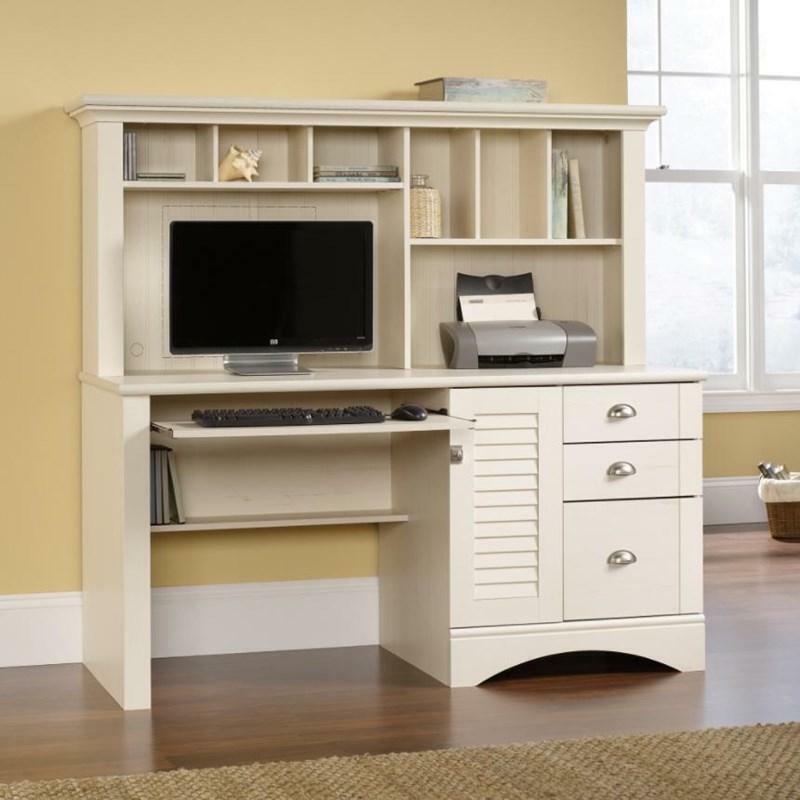 Its slide-out keyboard/mouse shelf has metal runners and safety stops, and its three drawers feature the patented T-lock assembly system. 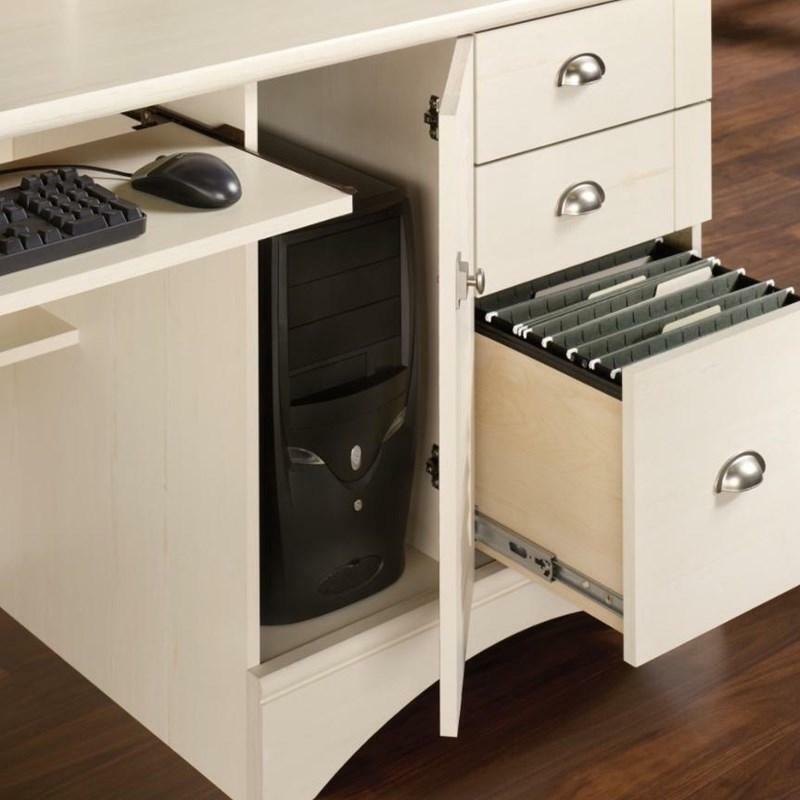 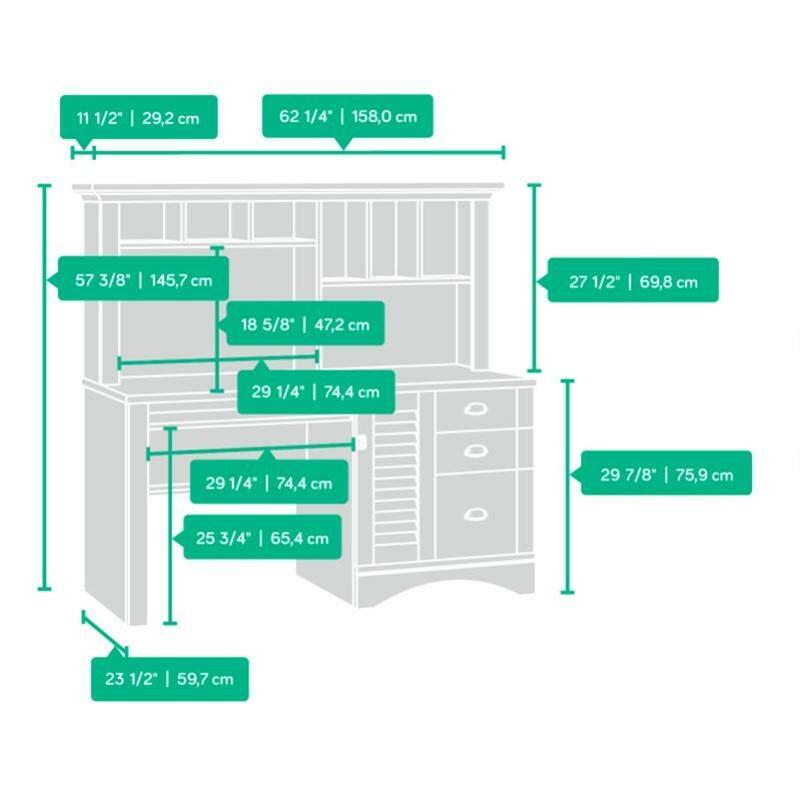 It also has a lower drawer with full extension slides that hold letter, legal or European size hanging files and a storage area behind louver detailed door that holds a vertical CPU tower. 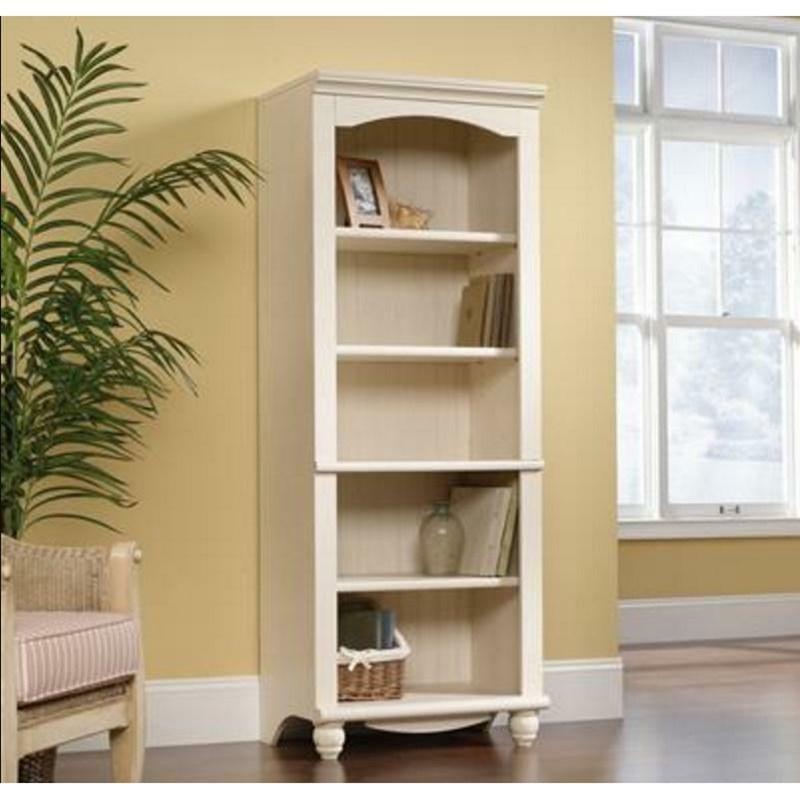 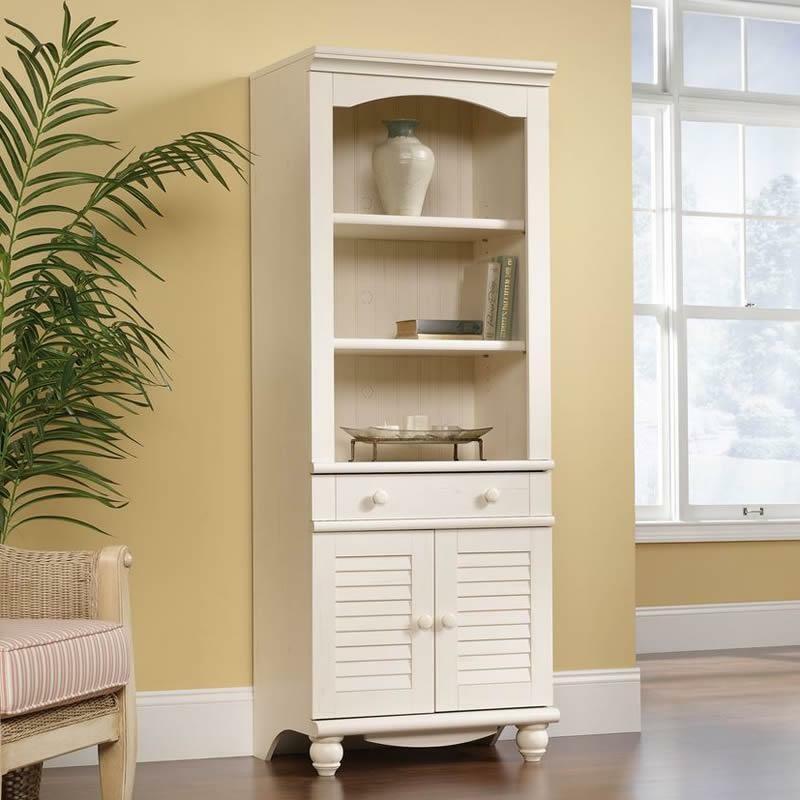 The hutch has cubbyhole storage and vertical storage compartments.